I’ve always been fascinated by the beautiful use of light and color on the Original Series. Those colored gels on what were really just grey walls gave the series a magical, yet cozy feel. For a sci-fi show on a tight budget, it gave the whole series a special nuance of calm; like stained glass windows in a church. Inspired by this lighting magic, I started playing around with images on Photoshop the other night and created these ‘stained-glass’ images. I kept the faces clear of lines so as not to distract from their beauty. I bet I’ll do a lot of these! 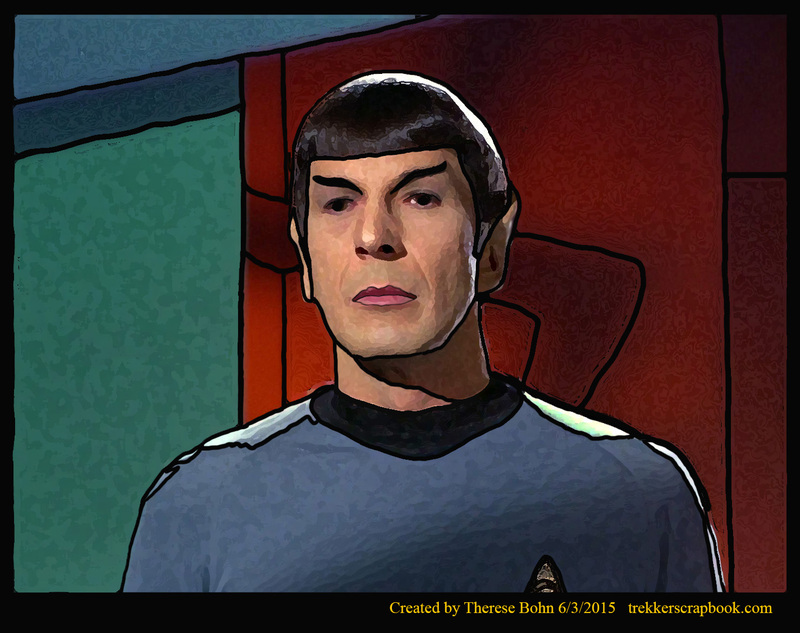 (I’m even giving them their own category).Here’s Spock from Whom Gods Destroy and Uhura from The Tholian Web. 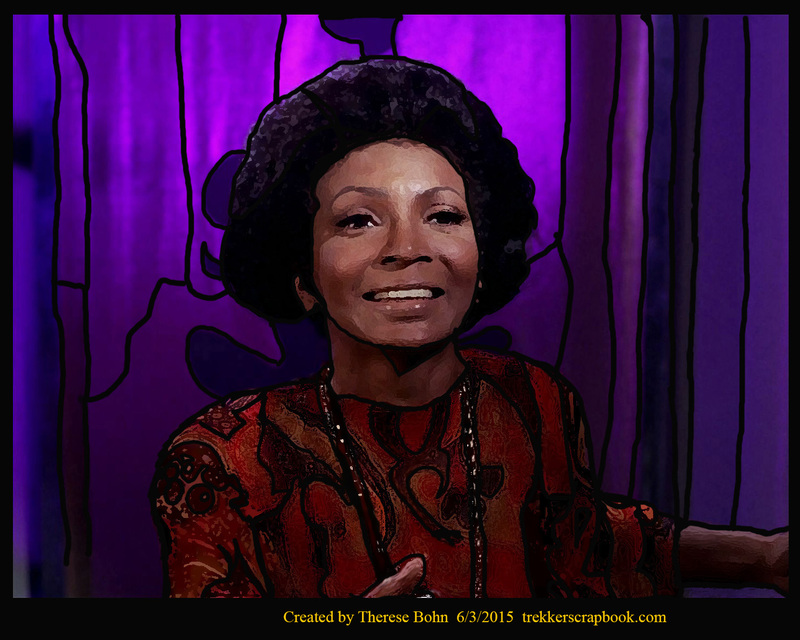 This entry was posted in Fan Art Fridays (FArFri), Stained Glass Trek and tagged Leonard Nimoy, Nichelle Nichols, Spock, Stained Glass, Star Trek, The Tholian Web, TOS, Uhura, Whom Gods Destroy. Bookmark the permalink.